Greetings! I hope you're having a good day Tuesday! Tuesdays are my long days because I have to go get my allergy shot after work. It's a hassle, but one well worth it when this time of year rolls around! 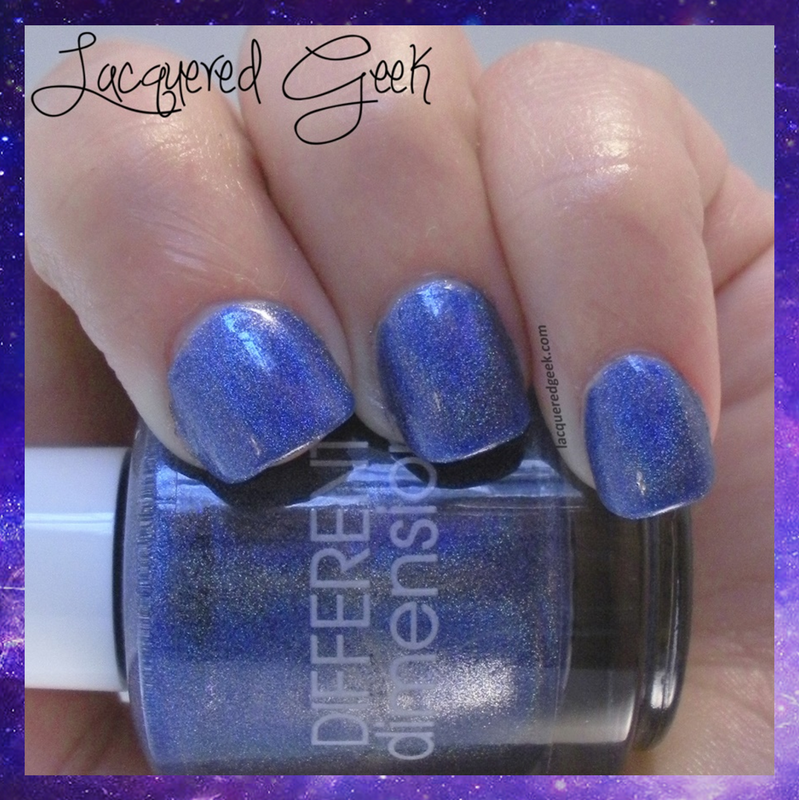 Today, I have a polish from the April A Box, Indied from Llarowe - "The Lovers, The Dreamers, And Me" from DIFFERENT Dimension. 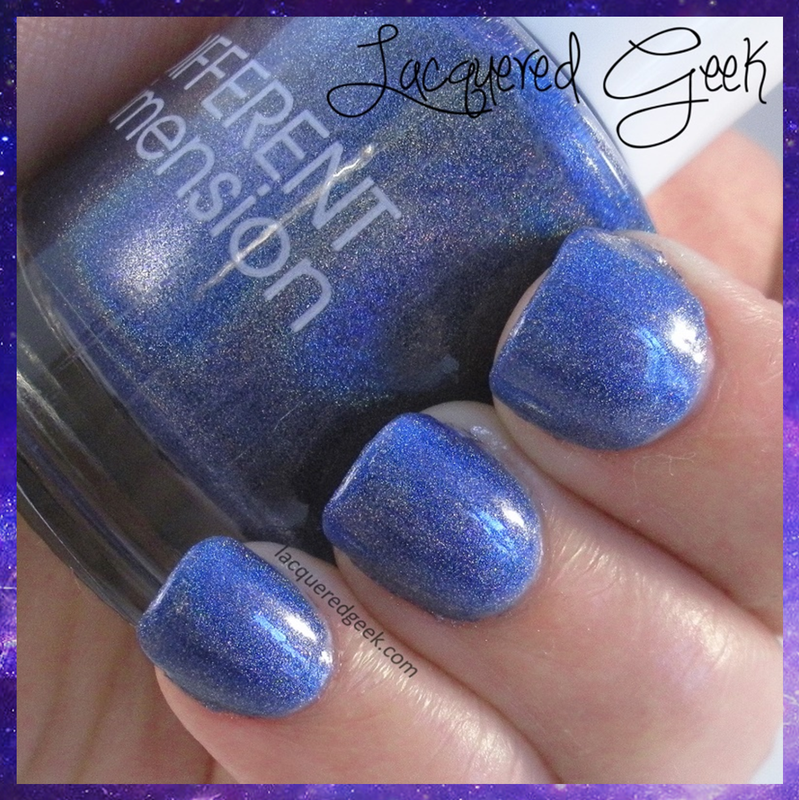 I missed out on this box filled with holos when Llarowe released it, so I stalked blog sales until I found this beauty! 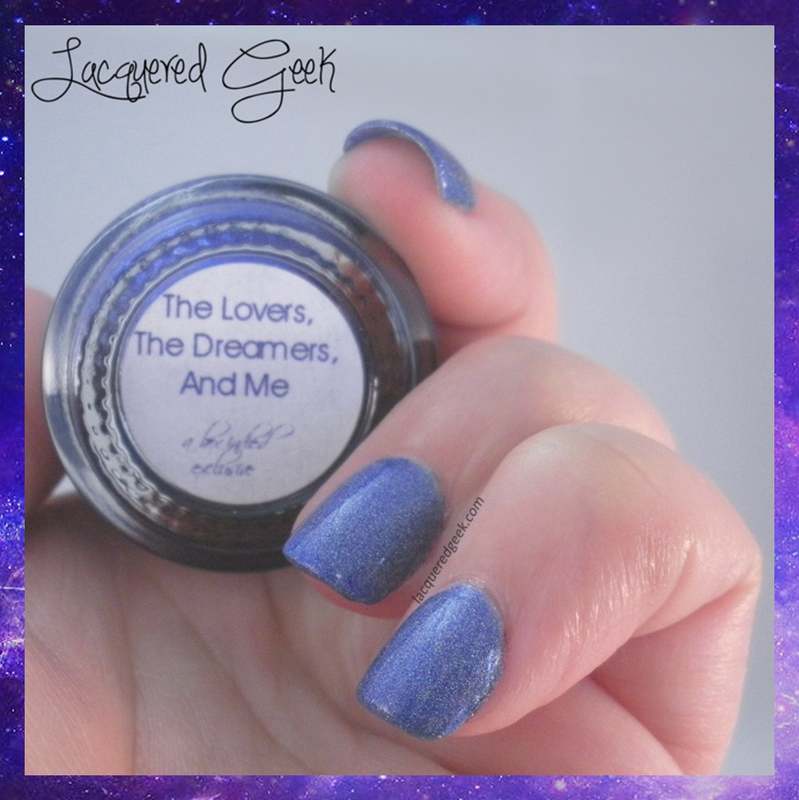 The Lovers, The Dreamers, And Me is a denim blue linear holo. The color is so gorgeous. It's like the perfect shade of blue! The formula was just perfect - a little on the thin side, but no where near watery. 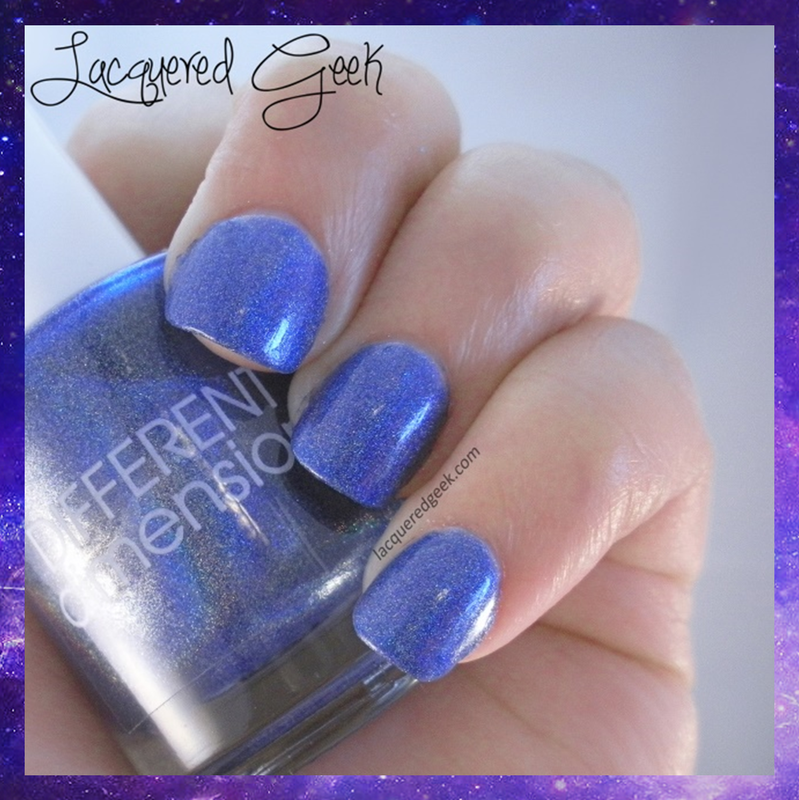 For me, it's the best formula, especially for holos! I used 2 coats and no top coat for these photos. I almost got by with just 1 coat, but I wanted to make sure it looked its best! If you tend to use thicker coats, it would definitely be a one-coater! I'm so glad that I was able to get this one! I can't wait until the sneak peeks start rolling in for next month's A Box, Indied! Have you ever squashed a lemming from a blog sale? I love checking them out; you never know what you'll find!